Hobbs, M., & Dofs, K. (2017). 7th Independent Learning Association Conference in Wuhan, China, 4-7 November 2016: Foreword. Studies in Self-Access Learning Journal, 8(2), 84-85. Huazhong University of Science and Technology were delighted to be selected to host this 7th Independent Learning Association (ILA) conference, as it was the first time they had held a full independent learning conference in China. They were awarded the rights to host this conference following the Independent Learning Association Conference held in Bangkok two years previously. It was also very exciting for many of the other European, Middle Eastern, Asian and Australasian delegates to be warmly welcomed to China and to share some experiences of Chinese culture, including academic, social, historical, artistic and culinary aspects. 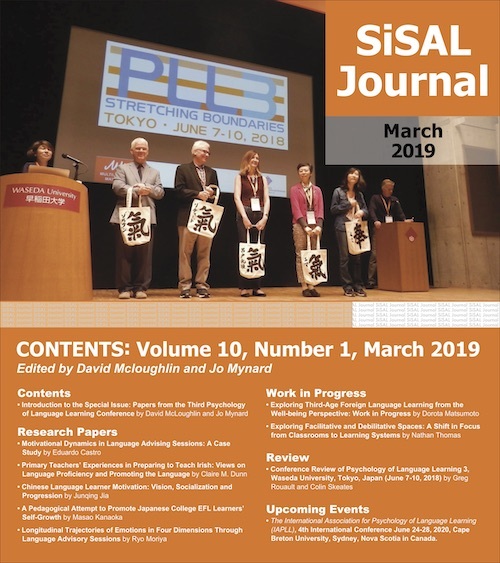 Both the editors of this special edition of SISAL (Kerstin Dofs and Moira Hobbs) helped the conference organisers by inviting an excellent selection of international keynote speakers to the conference. These were Andy Gao, Phil Benson, Sara Cotterall, Lawrence Zhang and Garold Murray. After: Recap of the conference and a closing address to all participants and attendees. During the closing ceremony, it was announced that the next ILA conference is to be hosted in Kobe, Japan in 2018. The series of articles included in this special issue have been contributed by some of the presenters who shared their findings at the SAC Manager’s symposium, and the overall conference plenary sessions.